Tokugawa Ieyasu (1542-1616) unified Japan by defeating his enemies at the Battle of Sekigahara in 1600. He was made Shōgun in 1603 and set up his headquarters at Edo (modern Tokyo.) The Edo period is also known as the Tokugawa period; Japan was ruled by the Shōgun of the Tokugawa family. Fast forward through a couple centuries of Japan isolation to the mid-1850s … the US hoped Japan would agree to open certain ports so American vessels could begin to trade. In addition to interest in the Japanese market, America needed Japanese ports to replenish coal and supplies for the commercial whaling fleet. Manjirō was born January 23, 1827 in Nakahama, Kochi Torishima prefecture of Japan during the isolation period. He had a tough life as a young man, the death of his father at age 9 forced him to work to support his family. By age 14 he was part of a five man fishing boat (Manjirō, Jūsuke, Denzō, Goemon and Toraemon.) During one trip in January 1841, they were caught in a storm and stranded on Torishima Island, off the coast of Japan. In the following years the young foreigner became well known to the Fairhaven townspeople as Captain Whitfield treated him like a son. He went to his first school ever (the Old Stone School) after being tutored by Miss Allen, a local teacher and neighbor of the captain. He later learned higher level math, navigation and surveying at the Bartlett School. 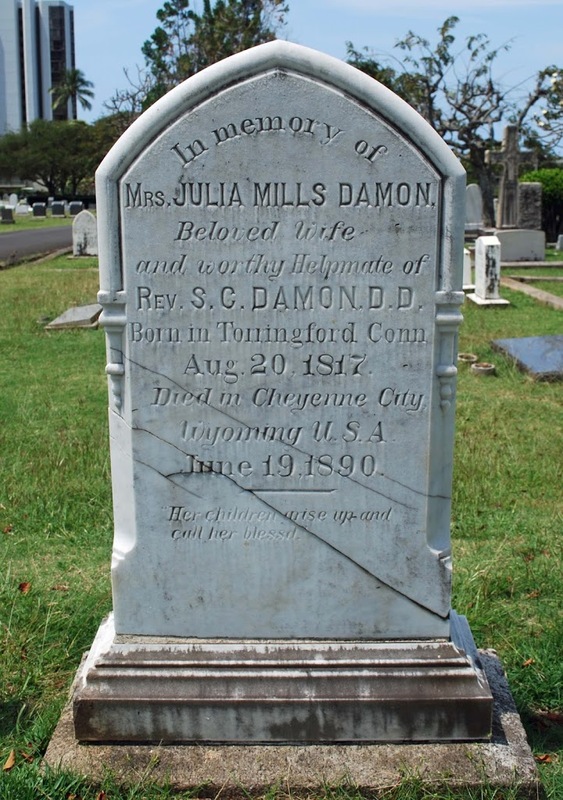 Then, an opportunity to go to sea came up; the Captain was away, Mrs Whitfield gave her permission for Manjirō to go back to the Pacific and wrote a letter of introduction to a family friend, chaplain of the Seamen’s Bethel in Honolulu, Reverend Samuel C Damon. In October 1849, he got gold fever and rushed to California. After only 70-days in the mines, he earned $600 – about the equivalent of 3-years wages as a whaler. He then headed for Honolulu to encourage his 3 shipmates to return to Japan with him. They found a ship (‘Sara Boyd’) headed for Shanghai; with the help of Damon and others, they raised enough funds to buy and provision a small boat (‘Adventure’) that they would store on the Sara Boyd and, when they were close to Japan, use it to make it to the islands. On February 3, 1851, 10-years after being shipwrecked, Manjirō, Denzō and Goemon landed on an Okinawan beach (Toraemon did not make the trip, he stayed in Honolulu.) He eventually saw his mother, again. The Japan leadership recognized the value Manjirō’s fluency in the English language; in addition, he was the only person in Japan who had extensive knowledge of English and American culture at the time. Manjirō was raised to lower rank of samurai due to his usefulness to the Government. Manjirō tutored senior officers on the geography and history of the US, and the physical and mental characteristics of Americans. He described American politics and American expectations from Japan and told them how to build and navigate western ships. With Manjirō’s encouragement, the Shōgunate discarded the 200-years isolation and took the first step toward opening the country in his negotiations with Commodore Perry. It is impossible to measure the service rendered by Manjirō in enabling Japan to accept the Japan-United States Friendship Treaty. Manjirō’s contributions to the modernization of Japan were invaluable. The Japanese relied heavily on his language skills and knowledge of the West. The Shōgunate sent a delegation to America in 1860 to exchange ratifications of the Japan-US Commercial Treaty. Manjirō boarded the ‘Kanrin-maru’ as instructor and translator. The success of the Kanrin-maru voyage across the Pacific impressed the US side with the skill and abilities of the Japanese, and became a basis for the success of later bilateral diplomatic negotiations. (Keio) Manjiro later taught at Kaiser Gakko, forerunner of Toko Imperial University. He died in 1898 at the age of 71. Manjirō’s contributions to the modernization of Japan were invaluable. He worked hard to establishing good communication between Japanese and Americans. 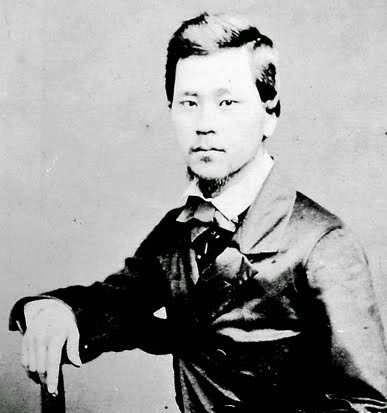 The image shows Manjirō as a younger man. In addition, I have included other related images in a folder of like name in the Photos section on my Facebook and Google+ pages.